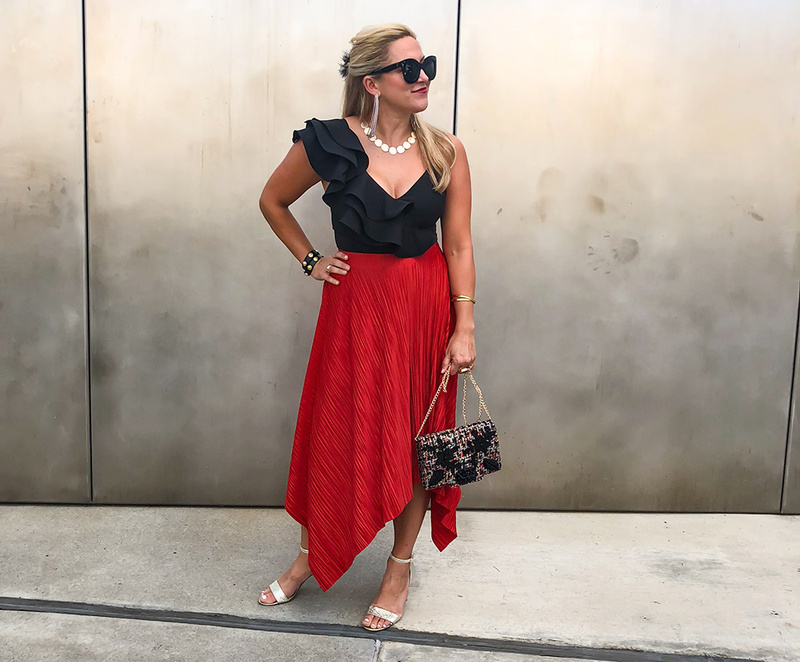 I recently found this Susana Monoco top at Poppy’s of Atlanta that I’m super excited about not only because I got it on sale, but because it’s so versatile. Not to mention it actually gives me a waistline! Many of her pieces are very figure-flattering. Here’s how I wore it and some ideas I have for styling it going forward. Shopbob is having a sale through Thursday for 25% off your order with the code below! P.S. I purchased another cute top from Poppy’s recently I’ll share later this week…it’s perfect for game-day at Auburn!